When a human body is low in iron, a simple iron capsule can resolve the deficiency. For soybeans, the process is more complex. Iron deficiency chlorosis (IDC) is a major soybean yield robber for more than half of the states in the north-central Midwest. This is due to the high pH soils deposited throughout the region by glaciers thousands of years ago and the tendency for these areas to have wet springs. The complicated process McClean refers to is a five-step progression each plant must go through to get iron from the soil to its leaves. First, to separate the iron from the soil particles, the plant must release acid into the soil. The soil then releases iron in an Fe (III) state and the plant must convert it to an Fe (II) state to use it. The third step involves the iron crossing the root tissue and entering the plant itself. Once inside the plant, the iron is transported into the xylem or water-conducting tissues of the plant. For the fifth and final step, the iron must bind to an acid molecule to be brought to the leaves. If anything goes wrong throughout this lengthy process, the iron won’t get to the plant’s leaves where it is most needed. Without sufficient iron, soybean plant leaves turn yellow, reducing the plant’s ability to photosynthesize. Variety selection is the most important strategy management practice for producers with chlorosis-prone soils. 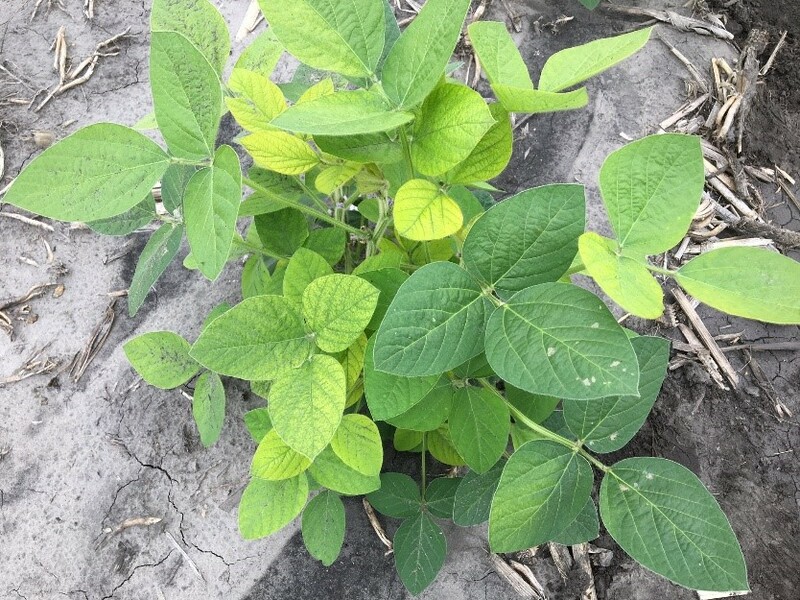 No soybean variety is immune to chlorosis, but large differences occur between the most tolerant and most susceptible varieties. 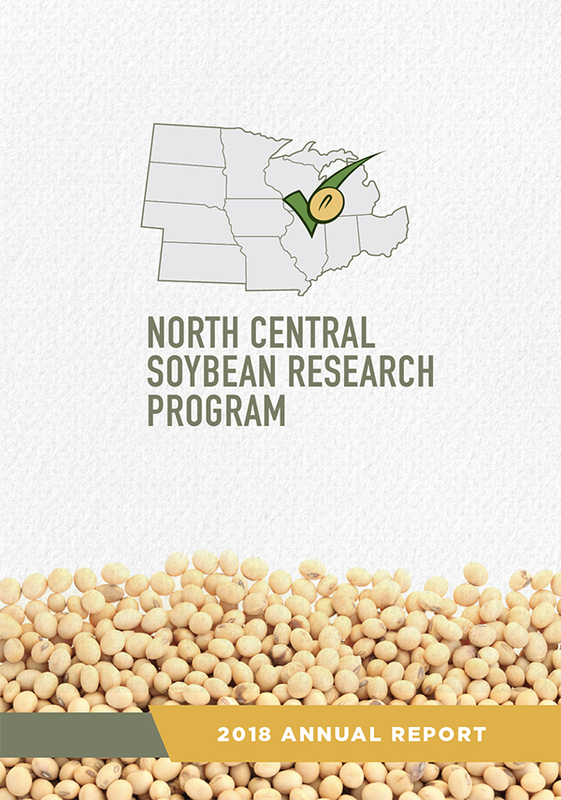 With checkoff funding provided by the North Central Soybean Research Program, McClean and a group of soybean geneticists and plant breeders from four states have worked together to identify the genomic regions associated with IDC tolerance. With this new understanding, they have been able to develop new, highly accurate genetic markers that breeders can now use for selecting IDC-tolerant varieties. The markers have been used to select advanced generation breeding lines based on their yield potential and response under IDC-inducing conditions. 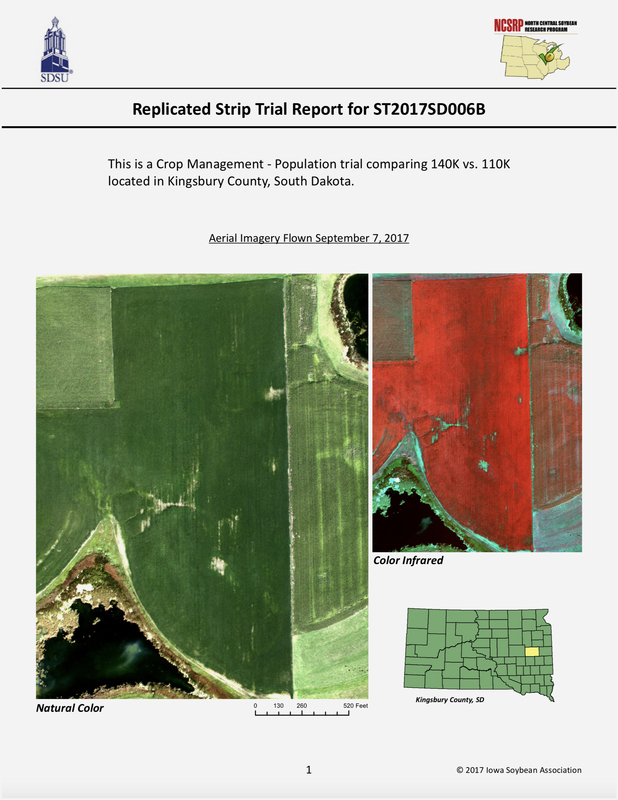 These lines were planted in the 2016 growing season in Minnesota, Nebraska, and North Dakota in an ongoing regional IDC trial. The trial will continue to provide additional genetic material to further confirm and refine IDC-tolerant germplasm and varieties. In 2017, the newest recombinants were evaluated with the goal of identifying the genomic regions to a small fragment. This will result in a marker which is very close to the gene(s) responsible for IDC-tolerance, and, therefore, selection based on the marker will be highly accurate. If the actual gene responsible for IDC tolerance is discovered, molecular breeding will be error-proof. The annual North Dakota Soybean Variety Trial and the Minnesota Statewide Soybean Variety trial contain IDC ratings from tests conducted in locations with known IDC problems. Visual ratings are taken at multiple growth stages on a scale of 1 to 5, with 1 representing no chlorosis and 5 being the most severe chlorosis. It is estimated that decreasing IDC by a 0.5 score (on a scale of 1-5) would increase yield by 10%.